Holy Cat is it really that time again? 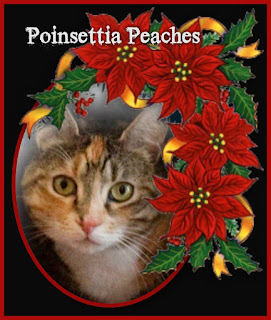 Good morning, Peaches here! As alpha cat in the household, it's my job to make all announcement and instigate all celebrations. Believe it or not, this is Carol's 4th Blogoversary We can understand why she wants to write about US! What confuses us is if OTHER cats get involved. More on that as we go along. 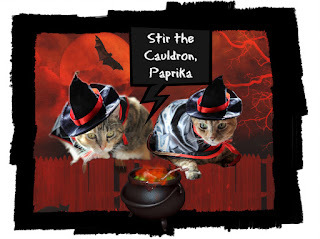 1) Carol had a blog makeover by talented artistic Debbie of Glogirly Design. 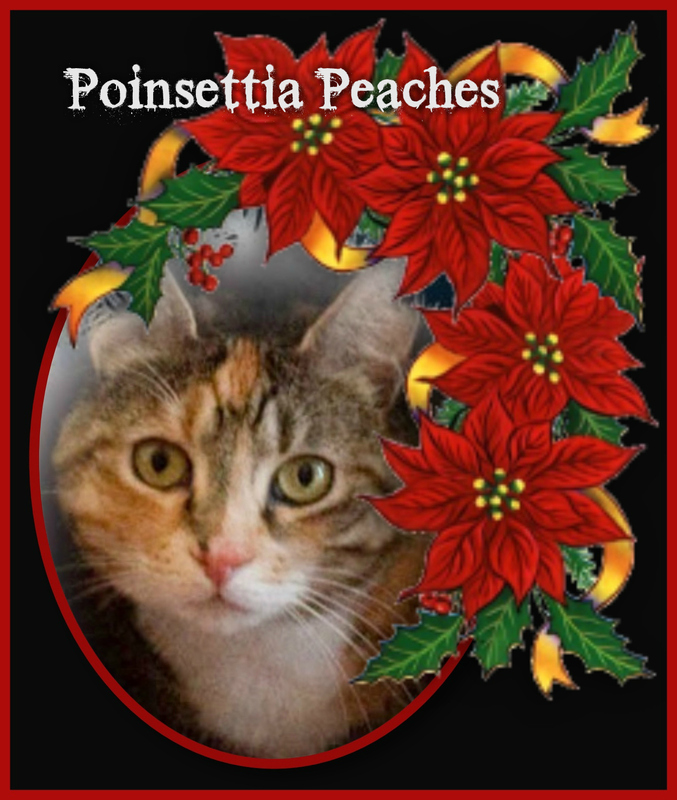 Those cute pink circles around us, surrounded by peaches & paprika didn't happen by accident! 3) Carol started working on her first book about...guess who? 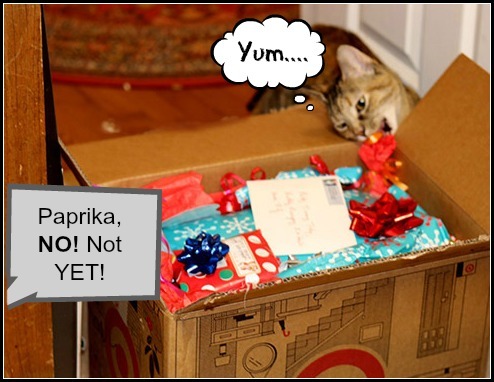 She's hoping some of our Facebook readers who say they love us so much will be interested. She is starting to read up on a world totally new to her! 4) We got more popular on Facebook, and our LIKES went to over 10,000. It sounds good but is a mixed blessing. 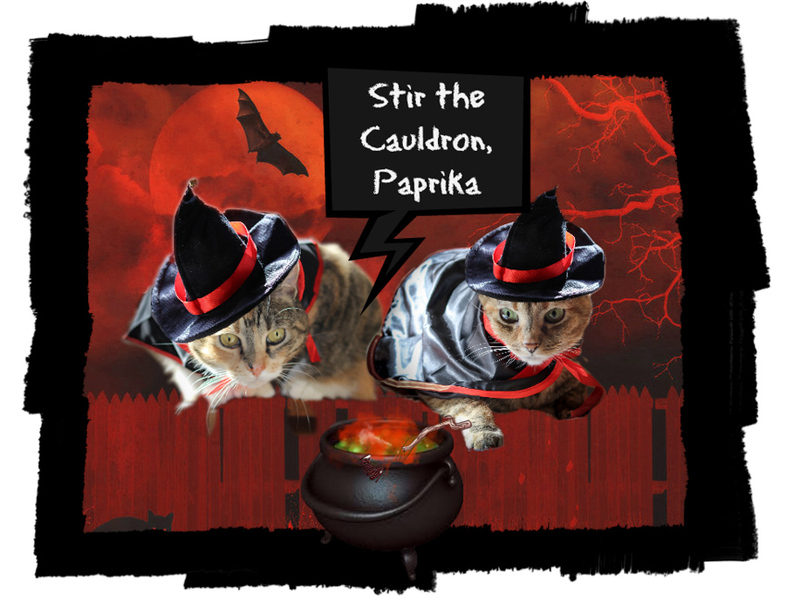 5) Our blog got less traffic than last year despite our prancing around in cute costumes but our human says she is working on some new approaches. We'll see! Carol wants to thank everyone who contributed to our blogging world by hosting blog hops, putting together books, Christmas Lists and other activities...it's definitely a group effort! 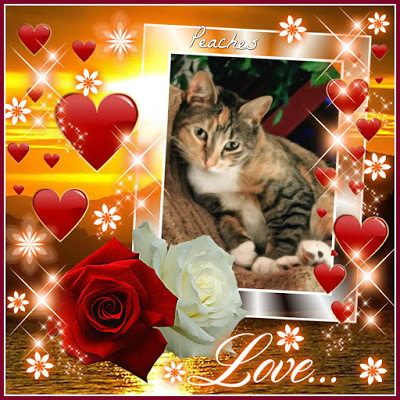 She was going to put together a list of names but since she is a totally cluts she will probably leave out someone so pawleez consider it a group hug! 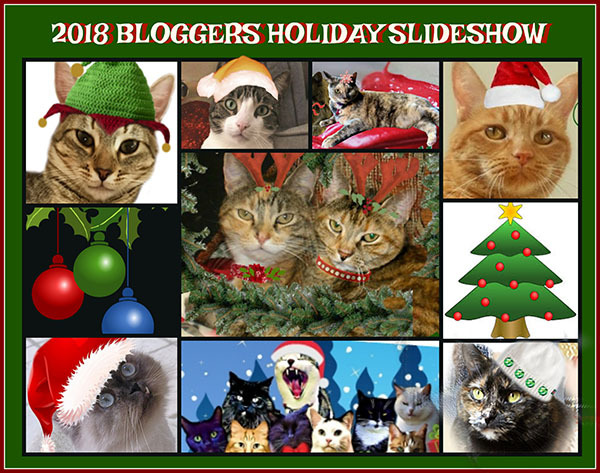 We like to do a retrospective each blogoversary of the past year's photo highlights so here goes! 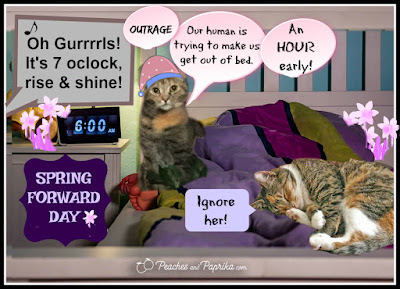 SPRING FORWARD TIME - Our human tried to disturb our beauty rest on this day, claiming our clock was wrong. Clock, Shmock! 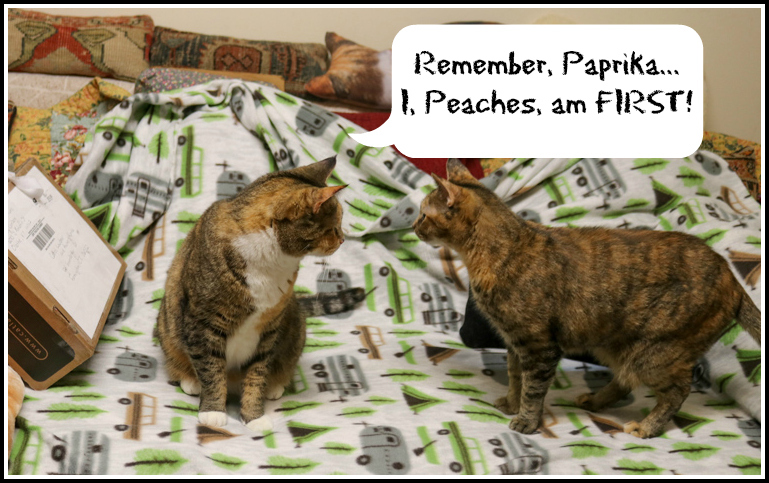 I told Paprika: "ignore her." We also hosted a really cool MEOWY GRAS Parade of our Facebook readers for Mardi Gras. Everyone was all excited about it. This is one of the occasions where we feel the slideshow should have been all about us. 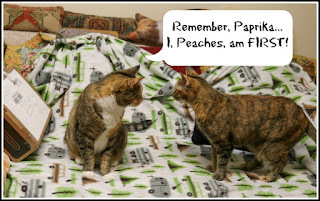 But she insisted o involving other felines. 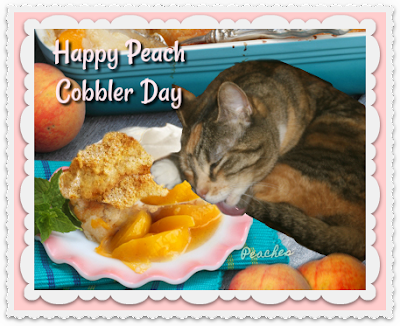 An extremely important holiday took place in April: my namesake, PEACH COBBLER DAY! You can see why this was a "MUST CELEBRATE!" 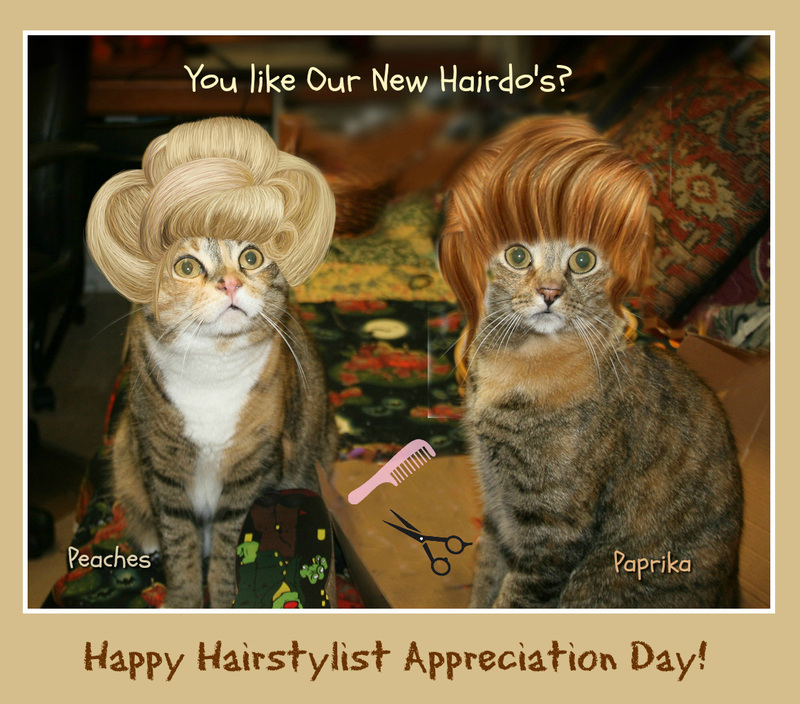 Hot on the heels of Peach Cobblers Day, came NATIONAL HAIRSTYISTS DAY. 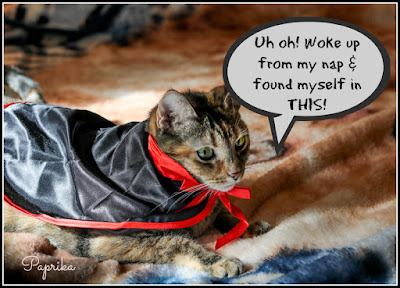 Paprika and I had a great time playing dress up! 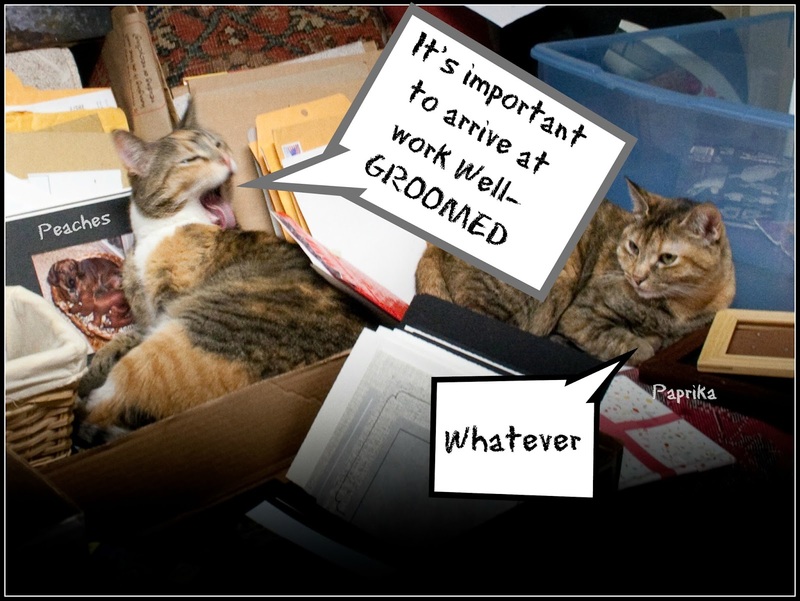 In May we came back to earth abruptly because it was CLEAN UP YOUR ROOM DAY! I tried to instruct Paprika on etiquette for this activity but she was impervious to suggestions. As you can see, I know how to enjoy myself! 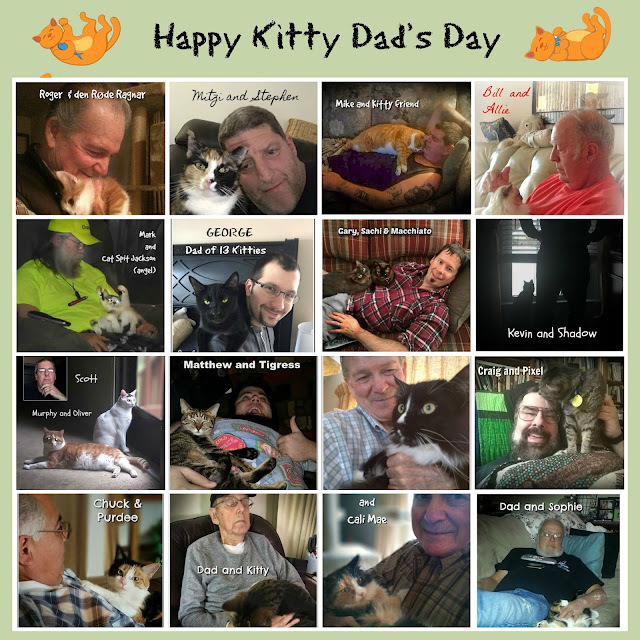 For the second time, we honored kitties belonging to our Facebook and blogger friends. Imagine our surprise during HOT AIR BALLOON DAY when we found ourselves suddenly in the air! And for FATHER'S DAY, we honored the many KITTY DADS of our friends. there were more than we thought! Summer is filled with exciting opportunities. 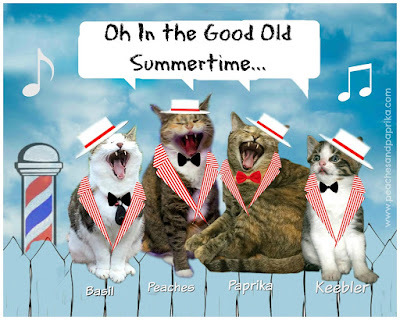 To celebrate BARBERSHIP QUARTET day, our human recruited Bionic Basil from the Bionic Basil blog & one kitten friend of hers. 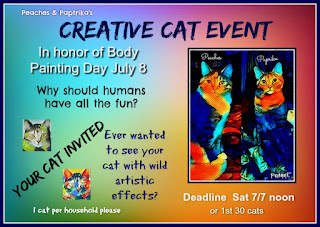 We also celebrated BODY PAINTING DAY by "painting" many cat friends and having an unbelievable slideshow! We continued to celebrate Tummy Tuesday throughout the year! 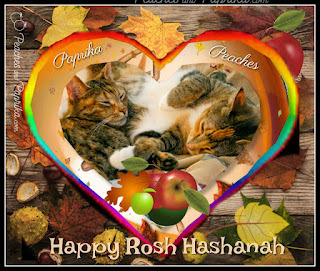 Our Rosh Hashanah celebration was met with great enthusiasm. In September my sister Paprika had a couple teeth pulled. The big news is, she was given her own TENT afterwards to rest in. 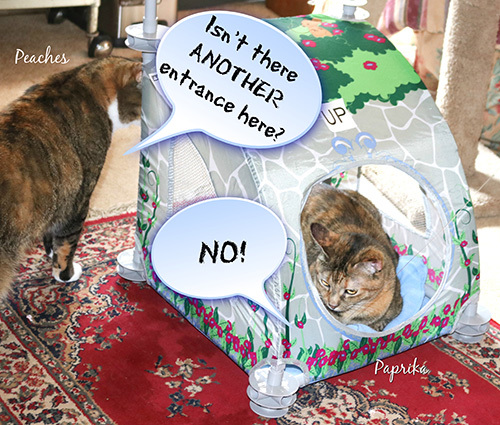 And I, her big sister was not permitted to enter. The nerve! 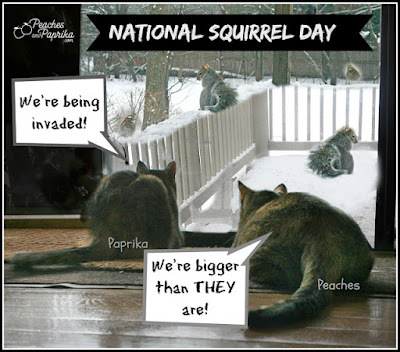 An important holiday awaits us in October! 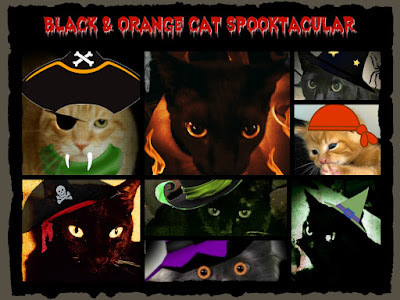 We also hosted a Black & Orange Cat Spooktacular for our Facebook friends and interested bloggers. This was one of our Uber cute pictures. It's the one that placed in the FINALS of the CWA contest. Don't we look like sweet little innocents? We're not that innocent! 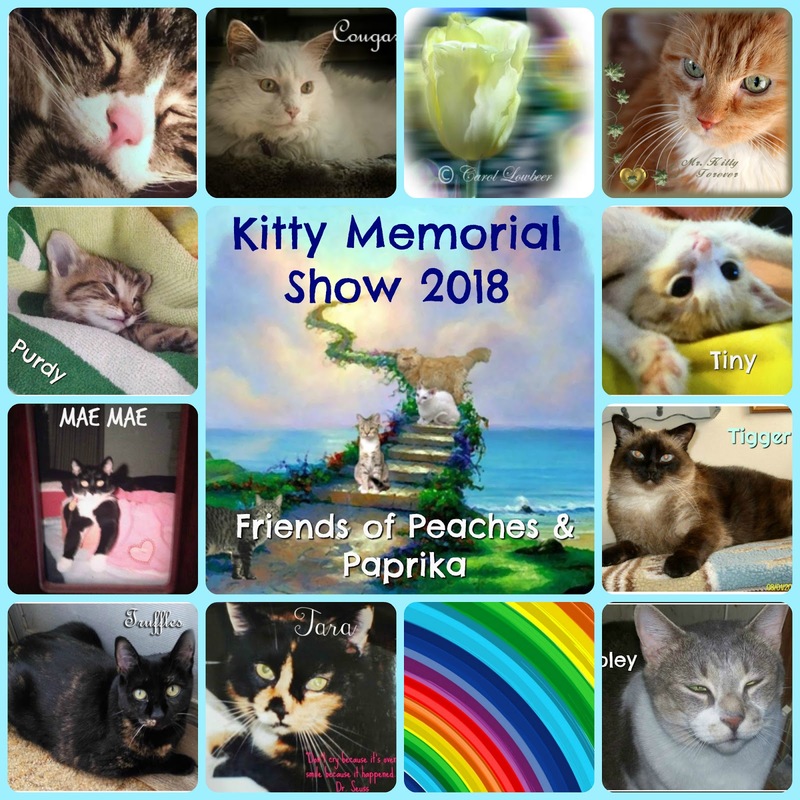 December was a fun month for all cats! SECRET PAWS...YUM! both packing & receiving provided incredible thurrillls! We then made a slideshow of all the other Bloggers' Card who volunteered...it was enjoyed by all! 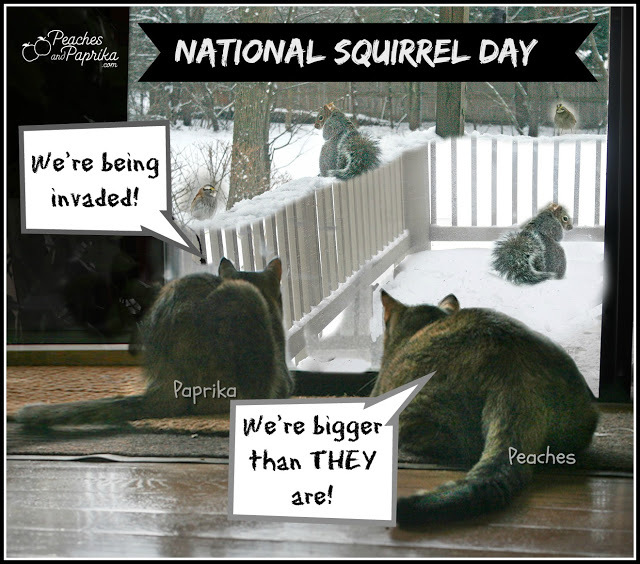 January brought snow, birds and National Squirrel Day! 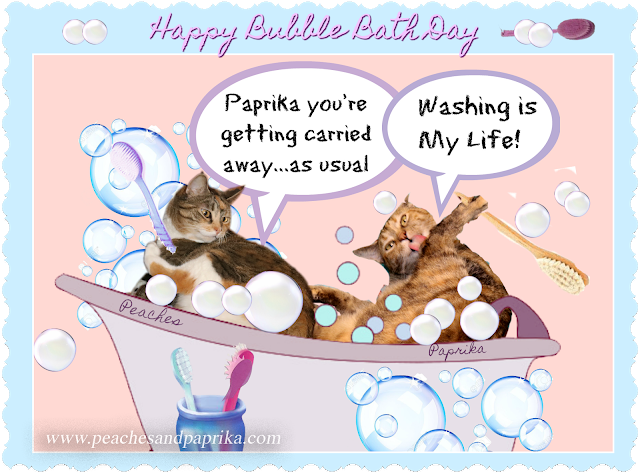 Another January holiday we could not resist was Bubble Bath Day! 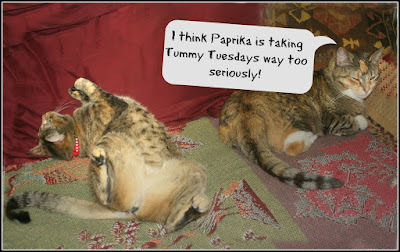 Paprika took it little too seriously ...but that's how she is!. In February we lost friend Wally of the Island Cats blog and a great loss to our blogging community it was indeed. What a sweet month is February indeed, otherwise. A time to show love! If you've been patient enough to read this far we want to compliment you on being he most patient reader in the world. Would you like some PINOT MEOW to celebrate with us? 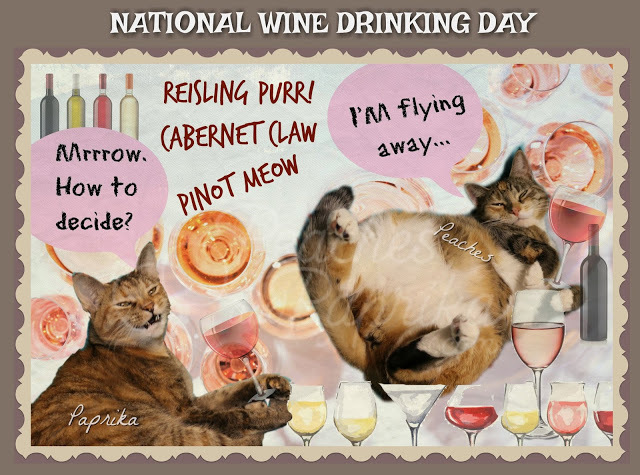 Maybe some Cabernet Claw? Thank you again to all for all the camaraderie, support, blogger hops, events, and I hope we hope to keep blogging a long long time! We are joining the Cat on My Head's Sunday blog today and hope to say hello to all our friends. Well I have to say, when you line it all up like that you girls, and the team have been so incredibly busy. There was me thinking writing a book and a blog once a week was hard work! Anyways, we want to wish you all a Happy Blogoversary, and many many more to come! Happy Birthday Carol and Happy Blogoversary sweeties, that was a fun look back! 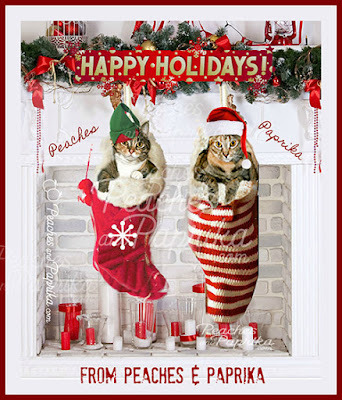 Many, many congratulations Carol ... and also to Peaches & Paprika. 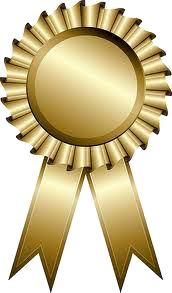 Few blogs have changed as creatively and imaginatively as yours over the years ... it is truly amazing how much you have done and we applaud you in every way. Keep up the great work. It's all beautiful. As you are! 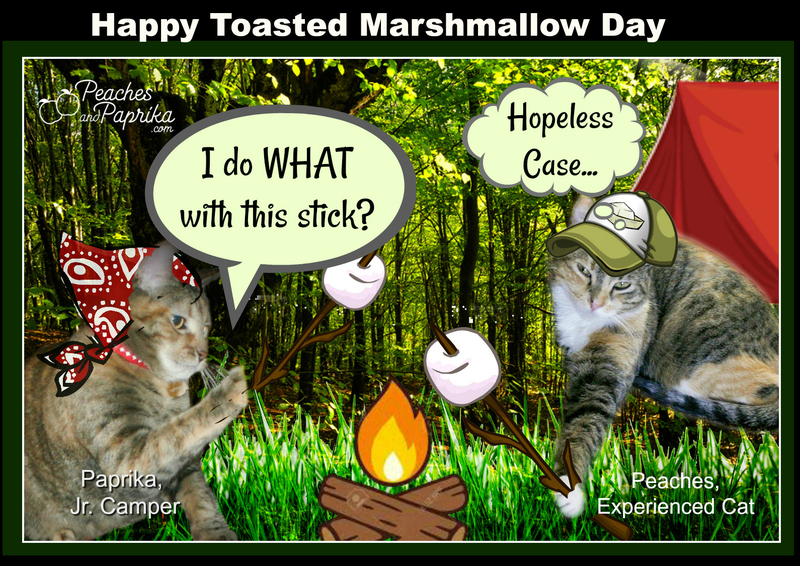 Happy Blogoversary, Carol, Peaches and Paprika! Congratulations on a very successful year and I hope you have many more. Happy 4th Blogoversary! 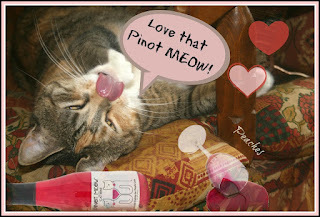 I love this blog, it is such a fun place - and of course, I love those beautiful kitties. Happy 4th blogversary to you. I'm not a morning person either. Nice seeing all the flashbacks. You are so sweet to write all those nice things! They mean a lot! Thank u so much Erin! I apologize for not visiting your blog more, WordPress for some reason won't let us in. 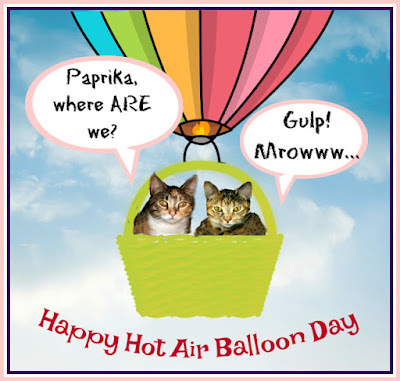 Could be cuz we're calicos? Anyway we appreciate your visit and kind words so much!!!! Thank U Brian! 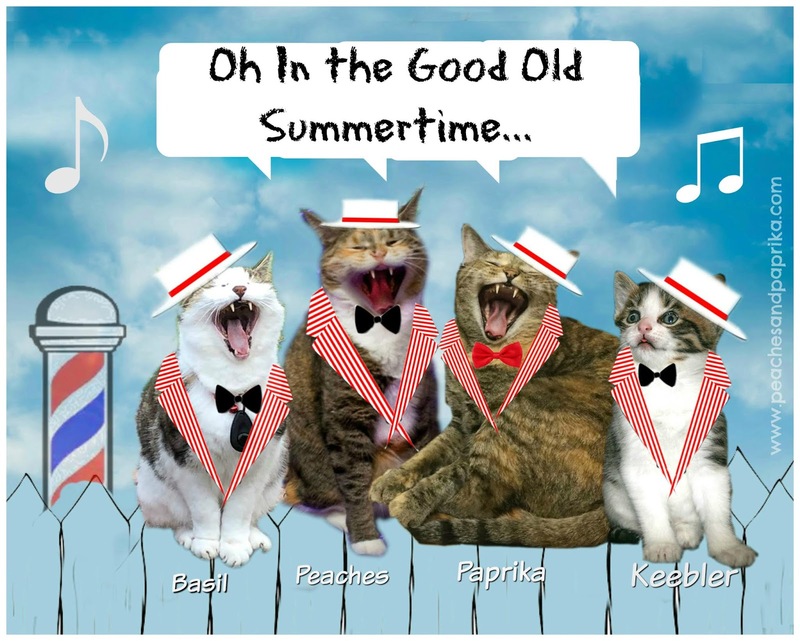 We all want to thank you for your fun visits during the year! Thank U so much Ms. Ann! What a wonderful compliment. Thank you again!! Your words are so appreciated! You're the best! Love to your angels!!! We love a fine song and sometimes must learn to make the beautiful notes you do!!! What an exciting year! Happy blogoversary, friends! Happy Blogoversary! What a fun retrospective! 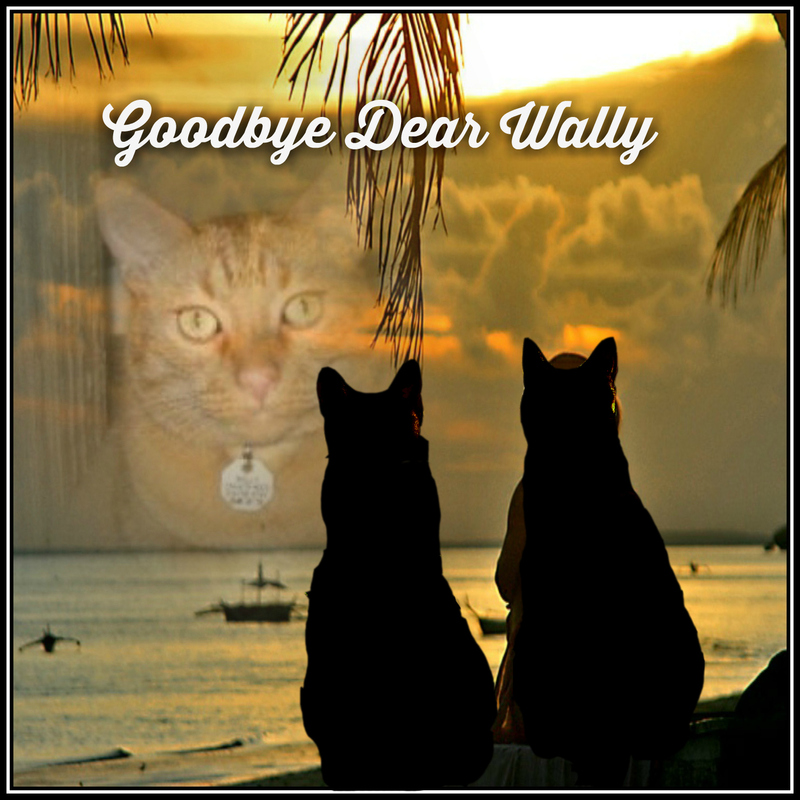 And thank you so much for mentioning our sweet Wally. A Very Happy 4th Blogoversary to you! THANK U so much for visiting!! Thank u very much for writing! Happy Blogoversary - and many more ! 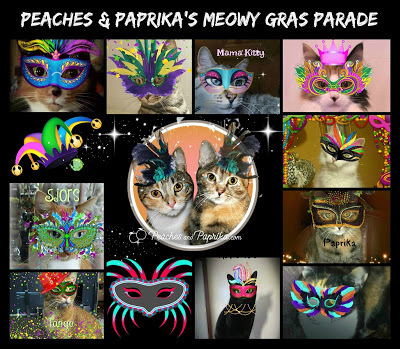 Hiya Peaches and Paprika, HAPPY HAPPY HAPPY BLOG'O'VERSARY!!! WOOOOO HOOOOOOOOOO!!! What an epically epic post, we loved your year in review, Brilliant! ur the best!!! thank u! Wow we are so happy we checked back in our email to see what we may have missed. 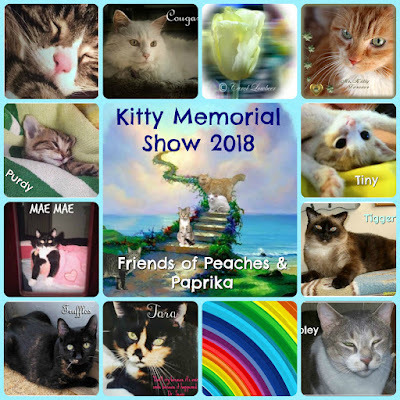 We love you ladies and your Mom and look furward to all the fun posts you do. 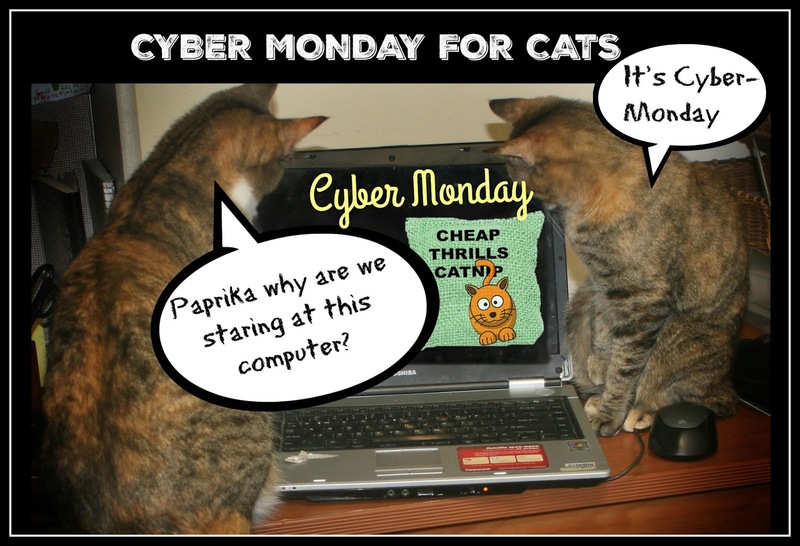 We think you have one of the most consistently fun blogs that we know of! Looking forward to a great year of blogging you three!